Tuna salad is such an easy paleo lunch option. I like to spruce mine up a bit by serving it inside of a hollowed out tomato over a bed of mixed greens. Beautiful, and delicious. Plus, I just love tomatoes. I eat them like apples. In a small bowl, mix tuna with mayo, mustard, and relish. 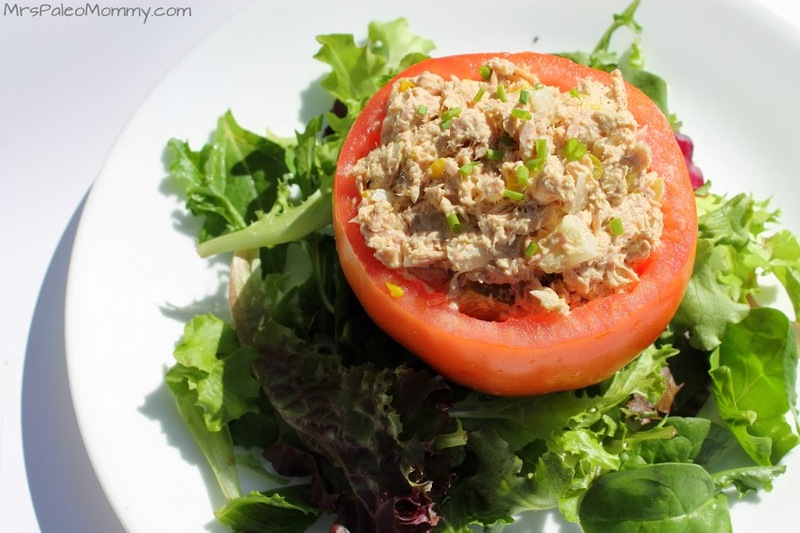 Fill tomatoes with tuna mixture, and serve over mixed greens. Drizzle with olive oil and vinegar, and season with s&p.